Indonesia is amazing. It has over 13,000 islands to discover and is the perfect choice if you’re the adventurous type of digital nomad who wants to climb volcanoes, get off the beaten track, and enjoy the world class diving spots. AND it’s a paradise for surfers.. If you plan to spend a few months there it’s best to base yourself in Bali where you’re most likely to connect to other digital nomads in coworking spaces like Hubud or Startup Getaway. Then, in your free time, I highly recommend that you explore not just Bali but some of the other islands like Flores, Java and Sulawesi as well. If you’ve always wanted to go on workation to Central America then Costa Rica should be high up on your list. You can visit the Caribbean and Pacific, the jungle and volcanos. All of this in one country, and it only takes you a few hours to travel anywhere within its borders since it’s so small. I like to call it Wi-Fi heaven because I’ve never had a problem finding good Wi-Fi there (even in the most off the track destinations). Plus… Costa Rica offers you an unmatched variety of things to do in your free time: you can go surfing, kitesurfing, climb volcanoes, rafting and so much more. Admittedly it’s not the cheapest destination in the world. But you’ll always be able to find great deals on accommodation (especially in low season) since there’s loads of competition in the mid-range market. All you need to do is shop around. Sunset and waves in Santa Marta Costa Rica – Yes, there’s good Wi-Fi too! South Africa is on this list mainly for two reasons: Because the infrastructure is amongst the best in Africa and because of Cape Town – The award winning city that is still surprisingly unknown on the digital nomad scene. In my personal opinion it’s the best winter escape option if you want to work from the same timezone as Europe. Cape Town isn’t only one of the most beautiful cities in the world but it also offers an unbelievable amount of activities and adventures within less than a one hour drive from the city. Basically you can do anything that doesn’t require snow! And to top it off it’s really great value for money. But this wonderful city isn’t all that South Africa offers. You can enjoy incredible safaris, wonder around the wine region, and explore the beautiful coastline in your free time. And finally (and very importantly) it is much safer than most people think! 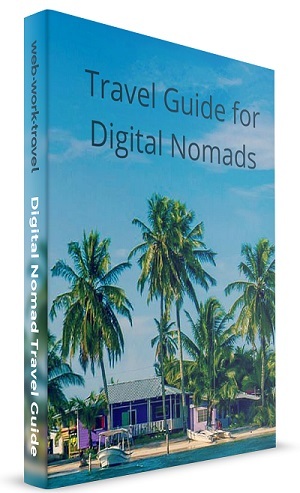 Thailand is probably the most popular country for digital nomads. And for a good reason too. Travelling around is extremely easy, the food is great, it has a unique culture, many beautiful islands with a decent workation infrastructure and cities like Chiang Mai or Bangkok are great to meet up and collaborate with other digital nomads. If you want to go to South East Asia and you’re relatively inexperienced with working while travelling, it’s probably the best place to go besides Bali. I found that the Philippines is similar to how Thailand was many years ago. It seems to attract the same people, and in reality I think that it is probably even better. If you want crystal clear beaches, off the track explorations, and loads of activities then it’s the place to go. Saying that, finding good Internet can be a challenge in many regions and I wouldn’t necessarily recommend a workation if your job requires a super-fast connection and regular skype calls. Otherwise you should check it out as soon as possible. My friend Sabrina from justonewayticket.com has written loads of great articles about the Philippines. Take a look out and you’ll want to go there tomorrow. Unfortunately Colombia still has a bad reputation for drugs and crime. But trust me it’s a simply amazing country with an unmatched diversity. Plus it has a very work-friendly climate in places like Medellin – the city of “eternal spring”. The infrastructure is modern, it’s easy to travel around, and you can experience the wild pacific coast, 6000 meter high mountains, Caribbean paradise, the Amazon Rainforest, and you can get to know the super friendly and open minded people that call it home. I’ve written a longer blog post about Colombia here. Brazil has been one of the highlights of my travels so far. Especially because of Rio de Janeiro where I’ve spent a 2 and a half month workation. Besides Cape Town it’s the most beautiful city in the world (IMPO). But I also love Florianopolis, an island in the South and the Ibiza of Brazil (just with a lot more fun things to do). It’s a seriously great workation destination. Another reason why I really enjoyed Brazil was because the North East is one of the best kiteboarding destinations in the world. It’s mainly visited by local tourists so you’ll have a unique experience workationing there too, while doing what you love in your free time. And if Portuguese is a problem for you just start your trip with a language course and you’ll definitely have a great time. If you want the best Safaris, to challenge yourself by climbing the highest mountains of Africa, and to relax on paradise beaches all in one country – Then Tanzania is for you. The Internet works well in major tourist spots like Arusha, Moshi, and Zanzibar and it’s relatively easy to get from one place to another. Apart from that you’ll also be able to experience the true Africa once you get off the beaten track a little bit. I included Tanzania on this list because you’ll have a different experience if you work and travel here. It’s an incredibly varied and beautiful country where you can experience a very real, working Africa. It’s just a special place. Europeans often forget that there are great workation spots right on their doorstep. 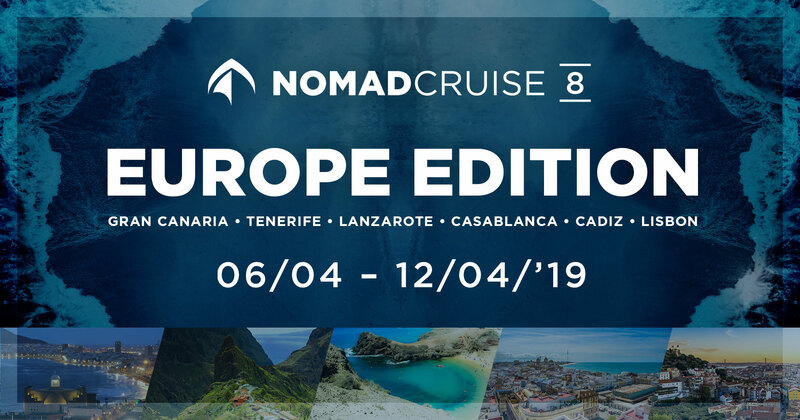 While things can be a bit more expensive here you’ll be able to get great deals in low season on Spain’s mainland or the Canary Islands. In fact if you spend less than six weeks overseas you’ll probably end up spending less money in Europe by saving money on flights, so it’s a great place to test if working while travelling is for you. Do you have an idea of how much the cost of living in Tanzania is as compared to say, Thailand/Chiang Mai for example? Just in case anyone else wants an answer to this question. Arusha for example has many guesthouses from $15 – $25 but they are quite basic. I prefer a $10 private room in the Backpackers downtown. It includes breakfast and a cheap lunch is $2 – $4 while a beer is $2 and transport around the city is always less than $1. Awesome list thanks. Thinking of heading to Spain or Portugal myself but at the moment I am in Africa and think Nkhata Bay (http://www.nkhatabay.com) in Malawi will be super popular for digital nomads pretty soon! !